CeBIT was a huge success for us. We were able to present our company and products to a large audience and missed no opportunity to raise awareness of MODINICE. In doing so, we generated additional orders, so our trip to CeBIT was worthwhile. Moreover, we gave a detailed interview to CRN-TV. CRN is a leading magazine in the information and telecommunication technology industry and is providing its audience with exciting news, background information, and analyses on a regular basis. 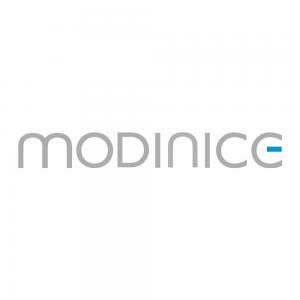 During the interview, MODINICE founder and CEO Mike had the opportunity to introduce the MODINICE M1 to a large audience, thus attracting considerable attention. Our team member Gero also gave an interview to neues24.com, during which we were able to give a presentation of MODINICE. Finally, Mike was allowed to pitch to visitors in the start-up area at CeBIT, SCALE11, where he gave another presentation of MODINICE. We look forward to the rest of the campaign together with you!